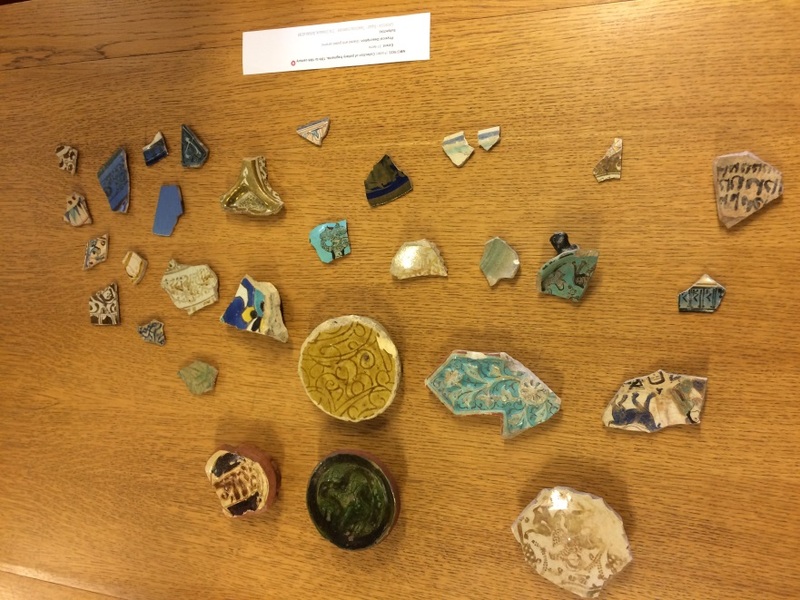 Hillary Fortin who has been working on the GSA Archives and Collections Ceramic Collection talks about our recent ceramic workshop and her new display at the GSA Library. 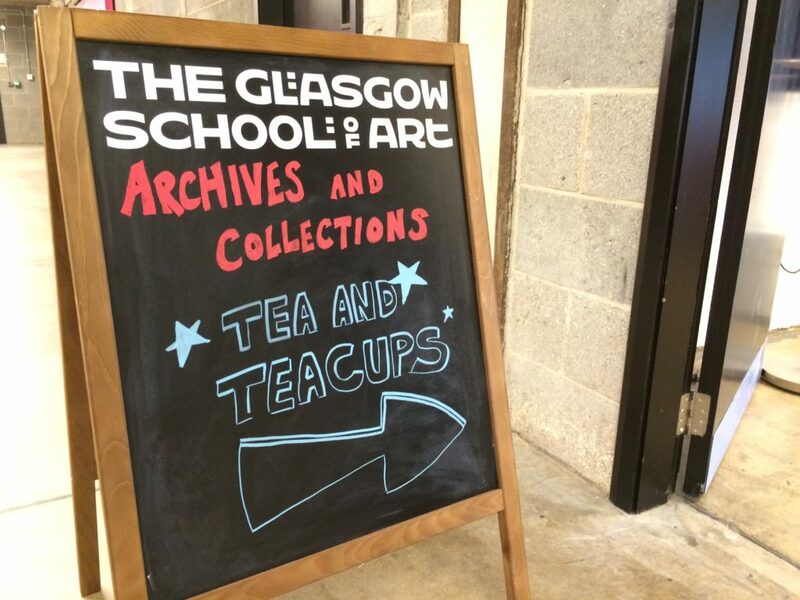 The 21st of April was a full day of exciting activity with the Glasgow School of Art’s ceramics collection. The morning involved setting up the workshop ‘Tea and Teacups at Teatime’ in the reading room. This was a most exciting event since just about every ceramic from the collection was on display! 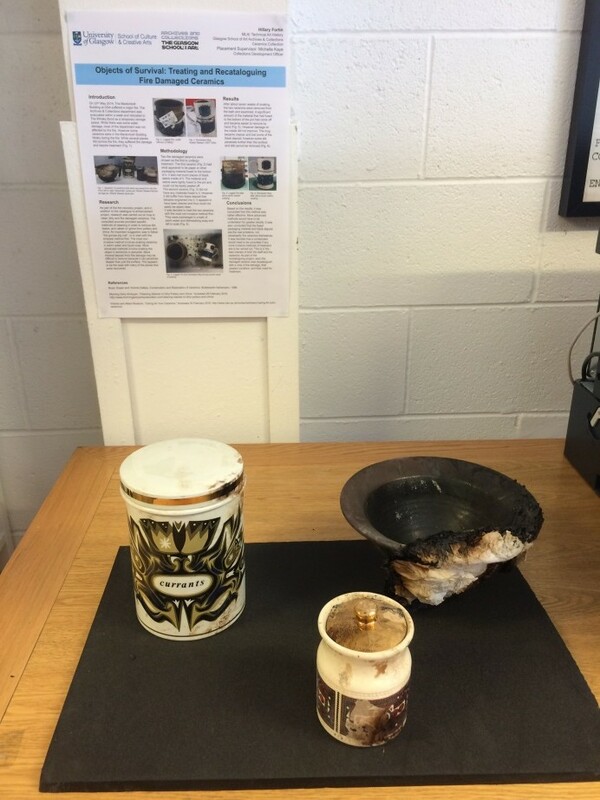 Three fire-damaged ceramics, which had been recovered from the fire, were also on display and served as an interesting point of conversation. 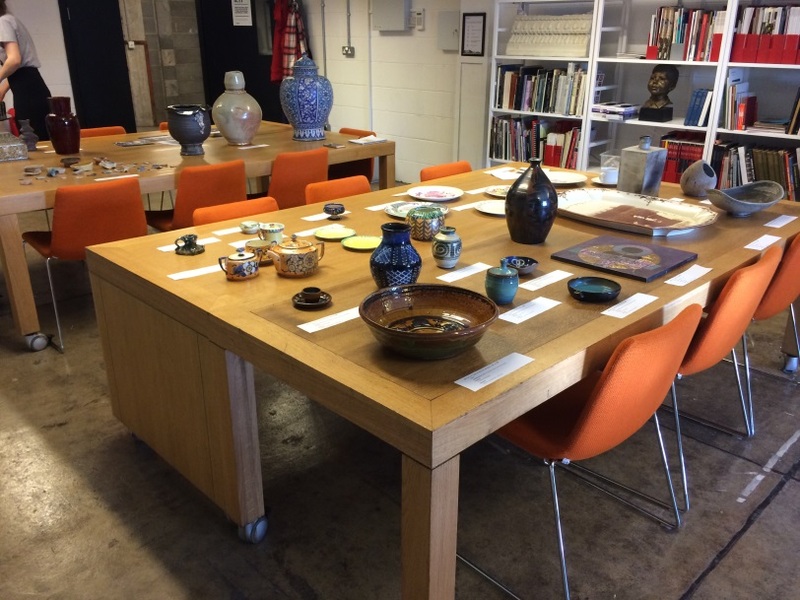 Several people came by to view the collection, ask questions, and enjoy a cup of tea. Some visitors had even graduated from the GSA Ceramics program when it was still active. Everyone was very interested in the collection and enjoyed the workshop. 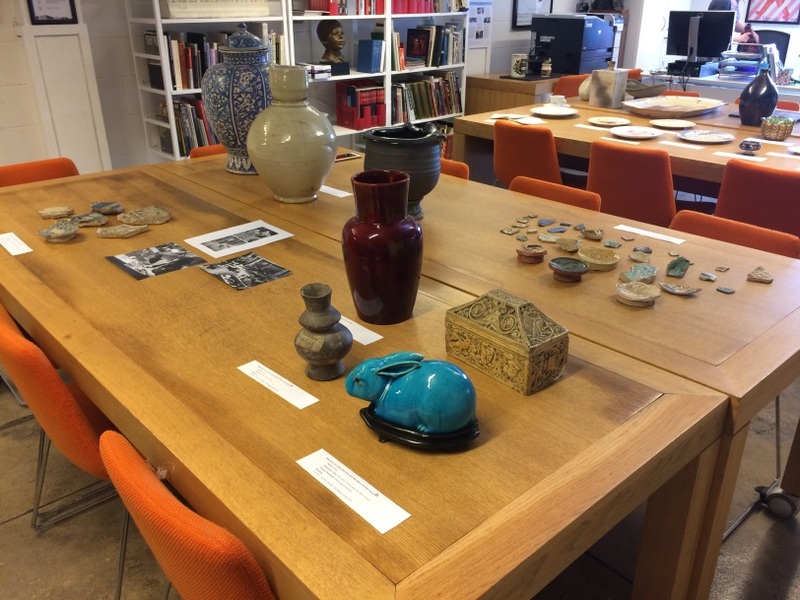 Later in the afternoon, I visited the GSA Library to set up a special ceramics display. It features beautiful work from the artists: Ann Macbeth, Robert Stewart and Robert Sinclair Thomson; a selection of photographs from the archives; and a 1914-15 prospectus. 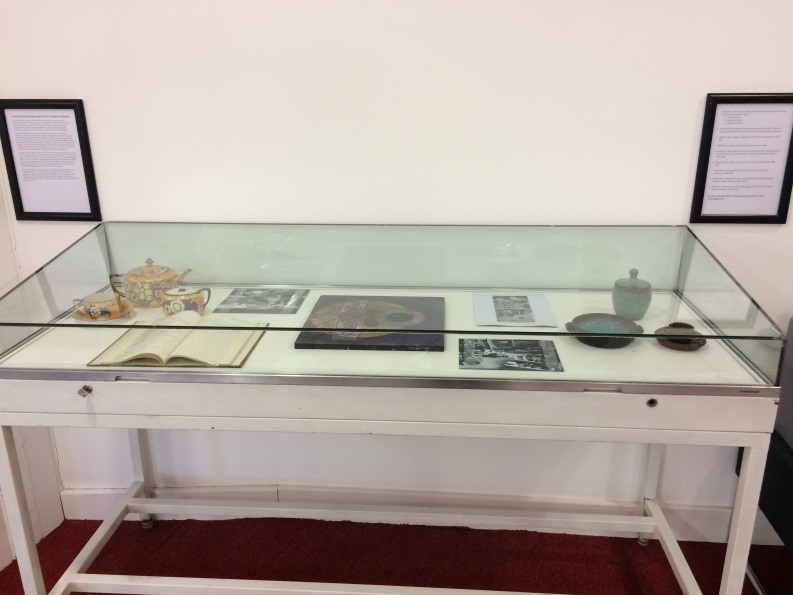 The ceramics are displayed in chronological order, providing a unique look into the progression of ceramic production at the School. 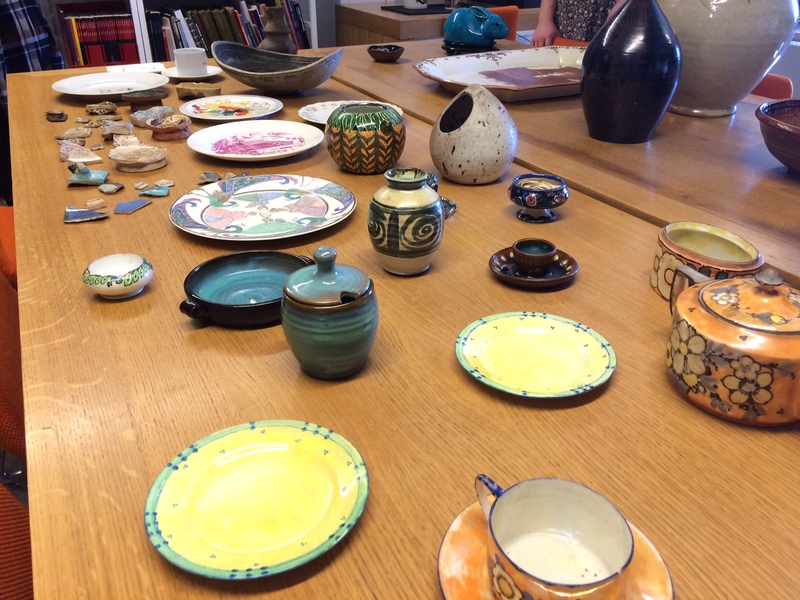 Drop by the Library to check it out and learn more about the School’s superb ceramics collection! If you are interested in any of the featured items, or in finding out more about accessing our holdings please take a look at GSA’s Archives and Collections online catalogue. The GSA Archives and Collections catalogue provides details on many of the artists, staff members, and visitors to GSA, and contains hundreds of images of the items in our collections. Alternatively, you can email archives@gsa.ac.uk with your enquiry and we will get back to you.